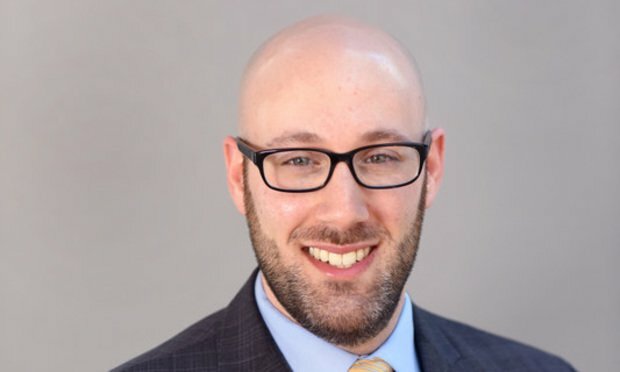 HomeRippleWill ‘First-of-Its-Kind’ Ripple Suit Set the Tone for US Cryptocurrency Law? The Recorder: Let’s talk strategy. Why do you think Ripple’s defense kicked this suit to federal court? Chervinsky: There are a few reasons why Ripple’s lawyers might prefer federal court. First, California state courts are generally seen as plaintiff-friendly, and that’s particularly true in class action cases. The California Supreme Court has said the state has “a public policy which encourages the use of the class action device,” so California judges tend to be easier on class action plaintiffs than federal judges are. Second, in keeping with the same policy, California has a number of rules and procedures that are more favorable to class action plaintiffs than the corresponding rules and procedures in federal court. To give you just a few examples, in California state court: the class certification requirements are easier to meet; defendants generally can’t file motions to dismiss before the class certification process is finished; plaintiffs are usually entitled to get more information from defendants in the discovery process; and “opt-in” class actions are prohibited (this is a procedure where only people who “opt-in” can become class members, which typically limits the size of the class and therefore reduces how much the defendant ends up paying in damages). Third, Ripple’s lawyers are likely more comfortable in federal court for the simple reason that they have more experience and expertise practicing law there. Is this case unusual in the cryptocurrency space? No, it’s not unusual. Although this case is one of the first of its kind—and one of the furthest along—it involves the same allegations that a plaintiff could hurl at nearly any company in the cryptocurrency industry that issued and sold a digital asset in the last five years. Assuming some digital assets do qualify as securities, it’s likely that similar class actions will eventually be filed against the majority of companies that have raised funds through token issuances. What are the implications of a ruling here? Because the case only involves a private right of action brought by private citizens, it can’t directly impact XRP’s regulatory status as a legal matter. For example, even if Ripple wins the case outright, the SEC could still decide to prosecute Ripple for the same alleged violations at issue here. In that scenario, Ripple likely could not use a ruling in this case to defend against an enforcement action brought by the SEC (especially if the SEC brought its action in a different federal court, like the Southern District of New York). Conversely, even if the class action plaintiffs win outright, the SEC could still decide to take no action at all. In that scenario, Ripple would likely have to pay damages to the class action plaintiffs, but the regulatory status of XRP would be unaffected. The case is still in its earliest stages, so we shouldn’t expect any meaningful rulings anytime soon. Right now, the only question is whether the case belongs in state or federal court. Regardless of how that question is resolved, it will be a long time before any court is in a position to rule on the important questions of whether XRP is a security and whether Ripple is liable for violating state or federal law. Do you think the SEC is watching? Why? What are they looking for? Yes, I expect that the SEC is watching this case closely. The SEC has just started to ramp up its enforcement efforts in the cryptocurrency industry, but it’s still unclear whether and when digital assets qualify as securities under the law. The SEC has advanced its own interpretation—most notably, through a speech given by William Hinman in July—but that interpretation hasn’t been tested in the courts. The SEC will be looking to see if the courts are willing to agree with its stance before it decides to bring any difficult enforcement actions of its own. In the meantime, the SEC seems content to let private citizens like these class action plaintiffs litigate the difficult issues for them. If the plaintiffs win, the SEC will feel more comfortable bringing its own actions in the future. If the plaintiffs lose, the SEC will have saved significant time and resources by sitting on the sidelines instead of jumping into the fray.